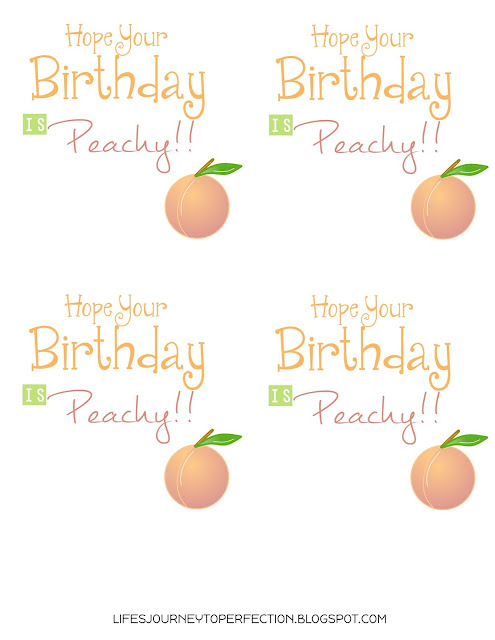 I love give my friends a little something for their birthdays, but never know quite what to get. You can't go wrong with candy, right? 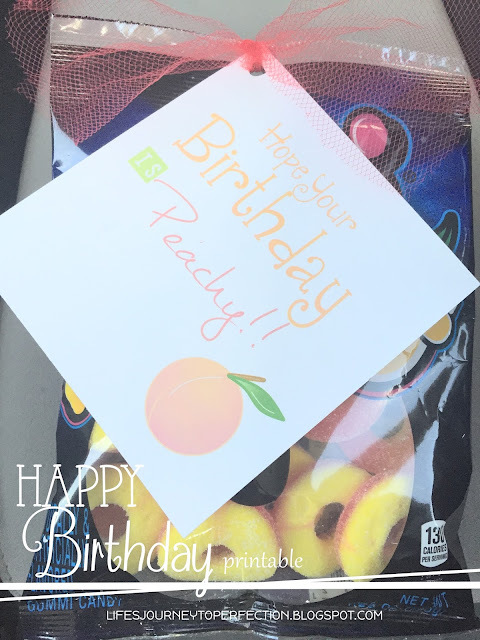 I made these, "Hope Your Birthday is Peachy" tags and tied them onto some yummy peach gummy rings with some tulle.